Can anyone help identify the marks on this bracelet. 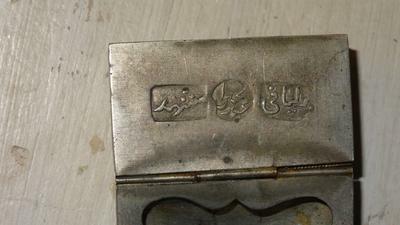 Arabic perhaps? 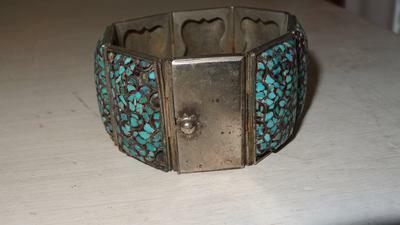 This is a beautiful old bracelet that is signed on the clasp. I can't finding anything similar but wonder if one of the marks is for sterling.